An iridescent green shield shaped pendant on black rattail cord. 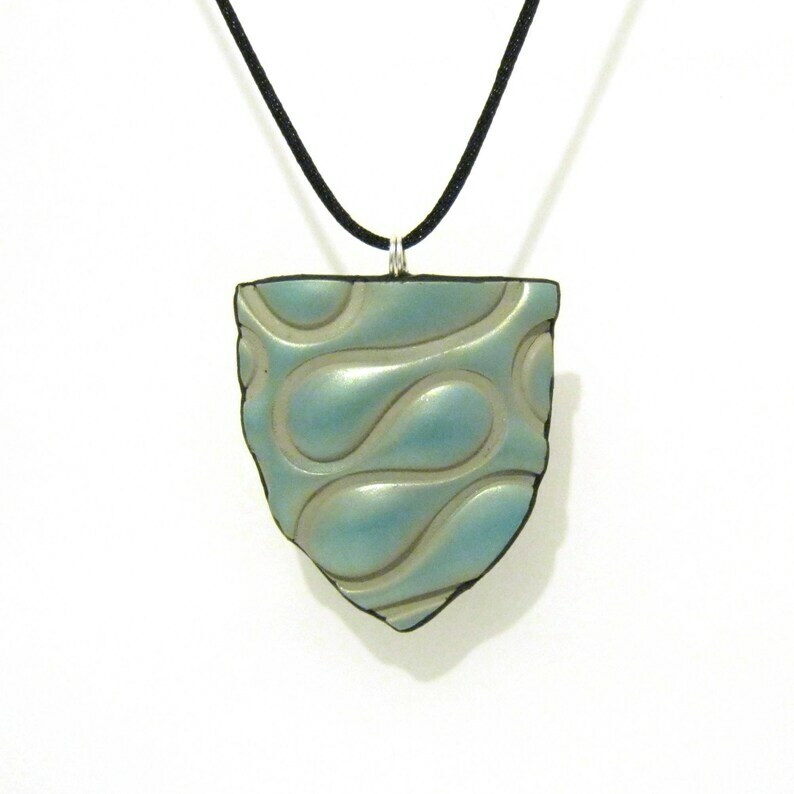 The pendant's unique squiggle pattern gives it a three-dimensional effect enhanced by the application of shimmery green mica powders. The pendant has had an acrylic sealer applied but should not be worn in water. The cord threads through a silver plated wire bail. Pendant measures 2" high by 2" at widest.